Click the button below to add the SG-4 SunGuard 4.5A 12VDC Solar PWM Solar Controller to your wish list. 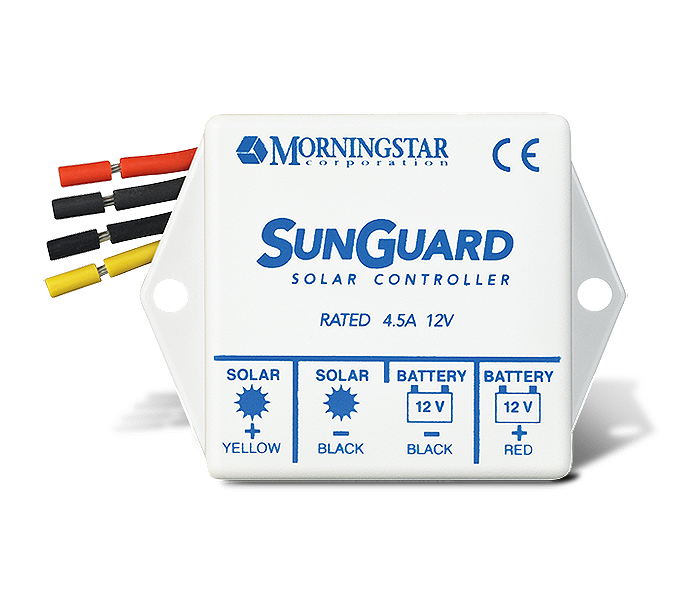 Morningstar's SunGuard™ is the world's leading single module controller. We have combined all the advantages of our SunSaver charging circuit with less expensive packaging to provide an economical controller for small PV systems.